My buddy O’Malley and I got up early Saturday morning, strapped our bikes onto the back of my family’s van and drove up to East Duffins Headwaters for a few solid hours of biking. 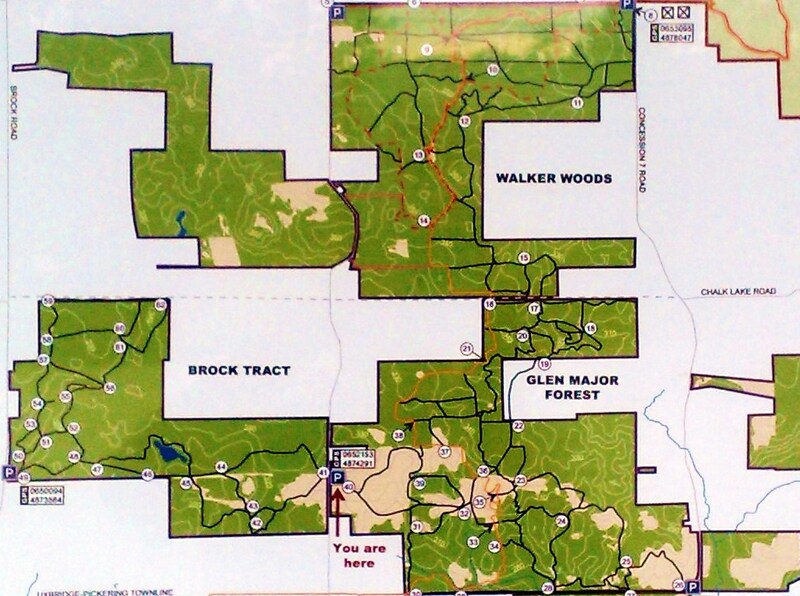 This fairily well-kept secret of the GTA is a hiking and mountain biking park located in Glen Major forest. The park is owned by the Toronto Regional Conservation Authority (TRCA) and, although not fitted out with large berms, beams or MTB-specific structures, it is spectacular for its single track and quite a few good hills. Not to mention the *huge* length of its trails – there are enough winds, forks, and parallel paths that you wouldn’t have seen them all in one full day of riding. Its on Sideline 4, a few kilometers north of Concession Road 9. Lots of multi-use, and MTB-oriented, trails. What a great park – but shhhh! Don’t let the word spread about this well-hidden treasure just outside of Toronto. 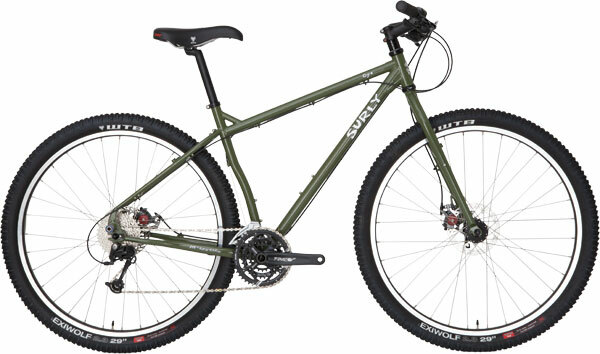 The bike seems well-equipped to be an all-rounder, off-road (or road) tourer, or nice singletrack companion. The only quibble I have with this frame is that there is no down tube cable stop, or place to bolt one on (as in the Origin 8 CX700). Be prepared to have to DIY a cable stop if you want to use drop bars. I like the offset seat tube, which will definitely aid in fender-izing your bike.